The Flower Fields at Carlsbad Ranch mean springtime is here! 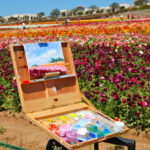 For ten weeks, 50 acres of the rolling hillsides in Carlsbad, CA are adorned with giant Tecolote Ranunculus flowers transforming the landscape into a solid expanse of vibrant banded color at The Flower Fields at Carlsbad Ranch®. The nearly fifty acres of Giant Tecolote Ranunculus flowers are in bloom for approximately six to eight weeks from early March through early May. Literally bringing the famous fields back to life. 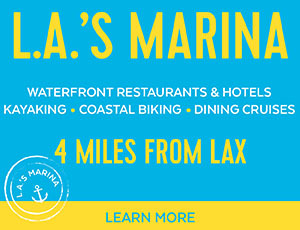 This year the fields open March 1 through May 13th. This annual burst of color is one of nature’s ways of announcing the arrival of spring here in Southern California. It has become part of the area’s local heritage. The fields you see today are a direct result of nearly 100 years of floral cultivation. 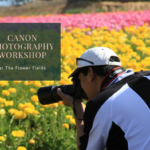 The Flower Fields continue to showcase nature’s artistry as one of the largest flower displays in the world. 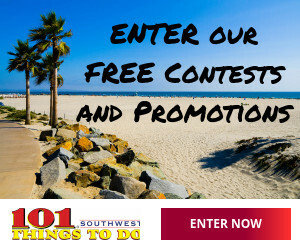 Hosting over 160,000 visitors every season, this colorful attraction invites people from all over Southern California. 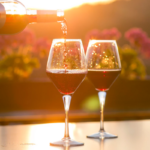 You can listen to live music most weekends, sign up for a photography, art or basket making class, stay for wine and bites, and even take a tractor ride through the colorfully radiant fields! 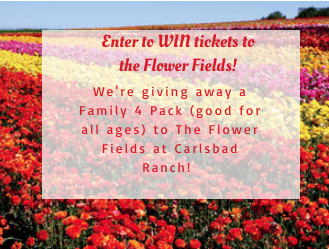 Enter for the chance to WIN tickets to the Carlsbad Flower Fields!